The heat pipeline flamed up in Simferopol. The fire occurred along the Zheleznodorozhnaya street near the “Privoz” market. 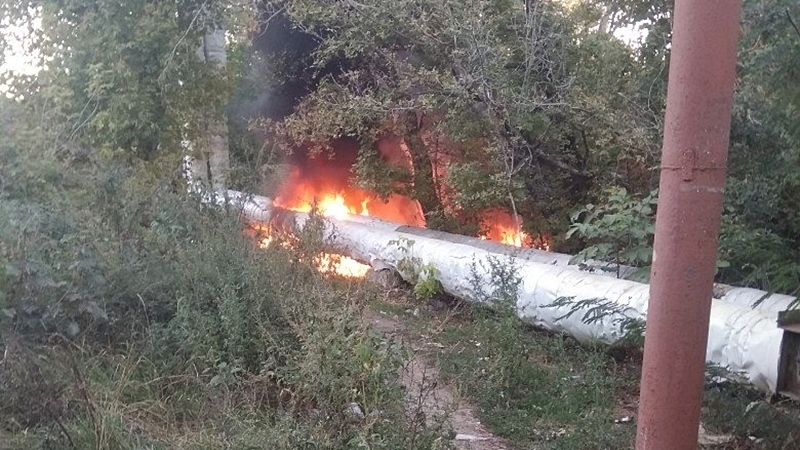 In the Russian-controlled Crimean Department of the Ministry of Emergency Situations reported that initially the domestic garbage flamed up, after which the fire spread to the section of the heat pipeline. The fire damaged the heat insulation of the heat pipeline. No one was injured in the incident. The causes of the incident are investigating.